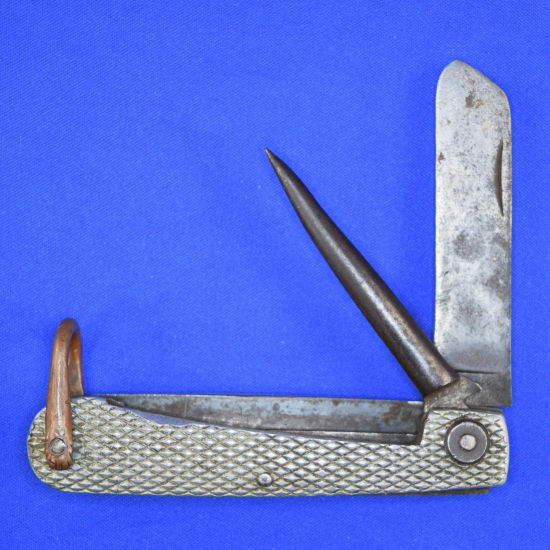 The British Admiralty Pattern 301 (AP301) clasp knife came in to service with the Royal Navy in about 1910. These knives were primarily issued to sailors in the Royal Navy and there is some evidence that there was limited issue to a small number of British Army units during WW1 as well. 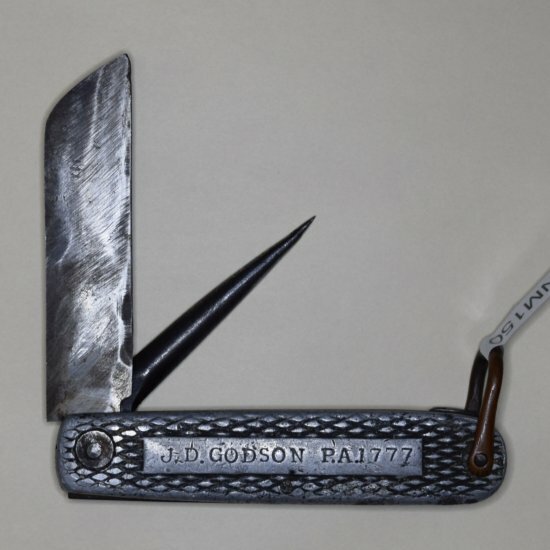 Because the Royal Australian Navy and the Royal Navy had very close ties at the time, it is most likely that Australian sailors were also issued with this knife. There is evidence that the men of the Australian Imperial Force (AIF) were issued with the same clasp knife that the British Army was issued with, the Pattern 6353/1905 clasp knife (refer British and Commonwealth Military Knives by Ron Flook Pages 132-135). 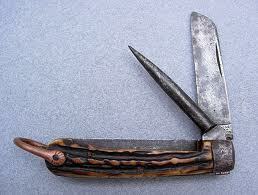 Therefore it is not unreasonable to believe that the RAN were issued with the same clasp knife as the RN. The AP301 clasp knife is a very solid knife, it has an incredibly strong spring. 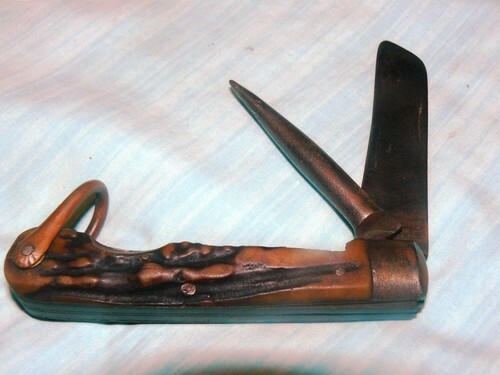 The WW1 knife had a sheepsfoot blade and a marline spike that both hinge from the same end, with stag scales and a copper shackle to affix a lanyard to. A variation was produced from about 1932 when the stag scales were replaced with chequered alloy scales. This knife is in a private collection. This knife was brought back to Australia by a Gallipoli veteran after WW1. It is not known how he came by it. If anyone has any information about any WW1 knives issued to, or used by Australian Servicemen or Women; please . The later version of the knife with alloy scales from about 1932 onwards. This later pattern AP301 knife was issued to John Godson on his enlistment in the Royal Australian Naval Reserve in 1940.